The sculpture, which its owners are confident is by Indiana, was erected this week outside a sausage factory in Wisconsin. JOHNSONVILLE, Wis. — What is believed to be one of the last pieces by the late Robert Indiana, the artist made famous by his iconic “LOVE” works, is in place outside the Johnsonville sausage company in Sheboygan County. 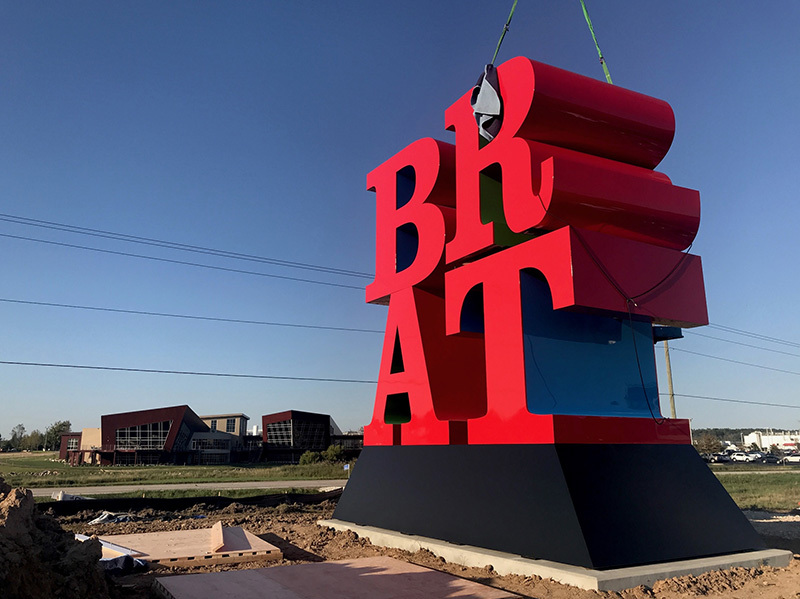 The 20-foot-tall stacked red letters spell “BRAT” and are a take on Indiana’s enduring pop art “LOVE” series with its “LO” stacked on top of the “VE.” Indiana died earlier this year at age 89.